← Did You Guys Hear Peyton Manning is No Longer a Colt? I’m pretty sure those are two platyp….wait a sec. 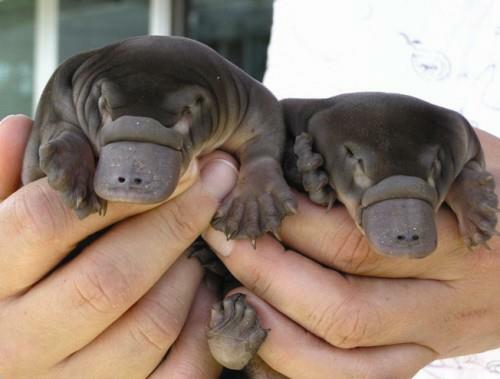 What the hell is plural of platypus? Platypusses? Platypi? I don’t care… get me two. Cutest damn things I’ve ever seen. This entry was posted in Feel Good Freshness and tagged baby platypus. Bookmark the permalink.